In-Network Provider | Medical Revenue Associates, Inc. 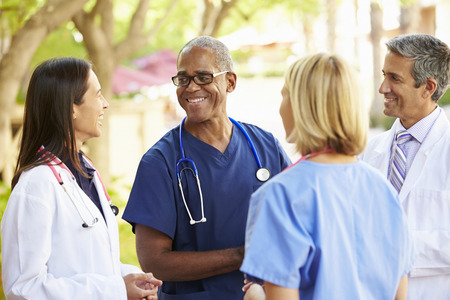 Taking the time to join an established provider network can sound like a huge drain on office resources but doing so can be a major benefit for healthcare providers in the practice, as well as your patients. In-network means the provider has an agreement with an insurance company, and the provider meets certain standards and guidelines, accepting a discounted rate for medical services. Out-of-network facilities do not have such an agreement with a carrier network. Patients often choose providers in-network, as they are easier on the individual financially. Thus, joining a carrier network gives the practice the immediate benefit of being included in a pool of options that are appealing to potential patients. Many managed care health insurances will not pay an out-of-network provider. Other carriers may pay directly to the patient. Because of the standards that are required to be in a provider network—making sure doctors have proper credentials, licensing, and experience, among other things—patients often will trust providers in a carrier network more than one that doesn’t belong to any kind of network. Joining multiple carrier networks can also be beneficial for your practice or business. Being part of multiple networks can help ensure you won’t accidentally accept a patient insurance plan that you aren’t actually part of. Being in a carrier network also allows for more new patient opportunities, and in turn, increased revenue. If there are multiple providers and services offered in a practice and are all covered by a carrier network, a patient is likely to get all their necessary testing, appointments, and other services done within your practice. If you’re looking to join a carrier network, the team at Medical Revenue Associates, Inc. is ready to help. Give us a call at 215-497-1001 to learn more about our credentialing services today.